Habitat: Pseudomonas bacteria are widely distributed in nature especially in moist environments like soil, water, and on plants, fruits and vegetables. Resistant forms are often found in healthcare settings. Disease or illness: Serious blood stream infections, pneumonia, and UTI occur in hospital patients especially those in intensive care on a ventilator and with catheters in place. 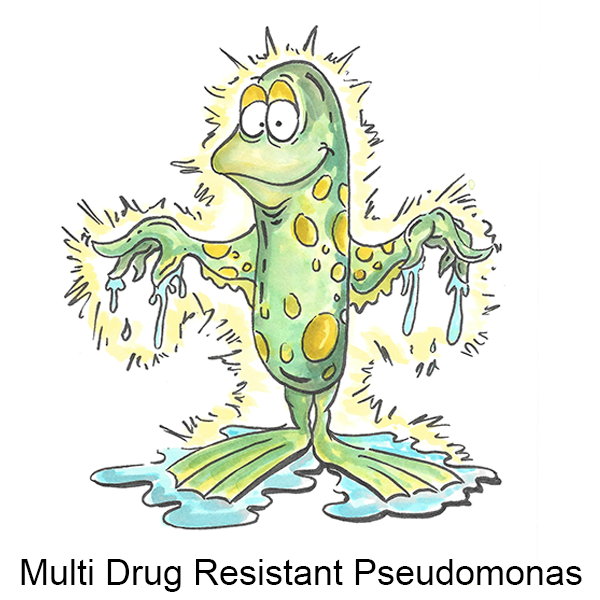 Pseudomonas is very damaging to the eyes and can cause serious eye infections. Who is at risk: Hospitalized patients especially those with chronic diseases; anyone with a weakened immune system or chronic disease; children with cystic fibrosis. Avoidance techniques: In the hospital, health professionals should adhere to recommended infection control practices, especially with hand hygiene and effective environmental cleaning. In the community, avoid hot tubs or pools that are poorly maintained; keep contact lenses and wetting solutions from becoming contaminated.